BUBBLE 1 (BUoyancy Balloon Bus Lifted Experiments 1) is an high altitude balloon project. We provide a stratospheric balloon and build the bus system with wich we can fly a payload up to 30 km hight. During the flight we will ensure communication with the groundstation and ensure recovery with an paracchute of the payload. 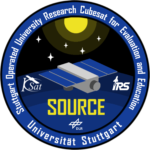 SOURCE (Stuttgart Operated University Research Cubesat for Evaluation and Education) is a 3U CubeSat, to be launched in two years. Project phase A was completed in July of this year, we are now busy working on phase B of the project towards a Preliminary Design Review in January 2019. Pump Application using Pulsed Electromagnets for Liquid reLocation(PAPELL) is an experiment to prove the basic functionality of pumps using ferrofluids in microgravitation. Ferrofluids are liquids that develop magnetic properties in magnetic fields and can thus be manipulated with magnets. The pump does not use moving mechanical parts, relying on the interaction between the ferrofluid and electromagnets. Careful activation and deactivation of the electromagnets can move ferrofluid drops through the experiment area. 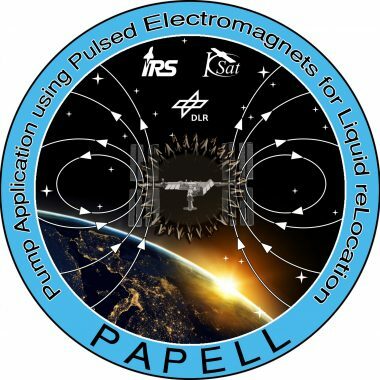 The experiment can show the possible future application of ferrofluid based pumps for future space projects. ROACH (Robotic in-Orbit Analysis of Cover Hulls) researches the use of electrostatic adhesion for new locomotion methods in space. 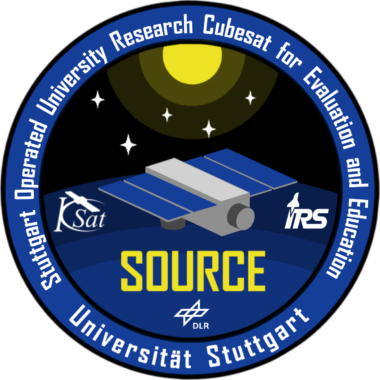 It will launch within the REXUS/BEXUS program aboard REXUS 24 in March 2018. The project is inspired by the increasing threat to spacecraft posed by space debris and micro-meteorites. Hulls of spacecraft are additionally subject to fatigue, e. g. due to radiation. Both sources of damage can potentially destroy or impair the spacecraft. Based on this experiment, robots may enable autonomous maintenance by searching for damage and performing small repairs. The locomotion of such a rover on a spacecraft’s hull and its adhesion to the spacecraft is the primary challenge. The principle of electrostatic adhesion shall be used to achieve that. 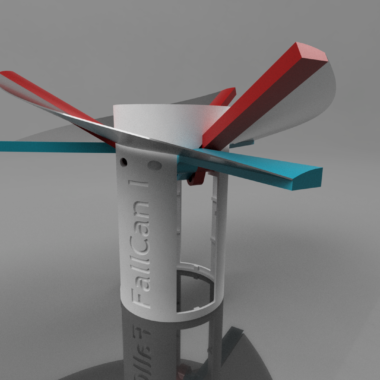 FallCan I is using the (simplified) principle of autorotation to slow its descent from a free fall down to a soft landing. This is the second CanSat Team. This is the third CanSat Team. 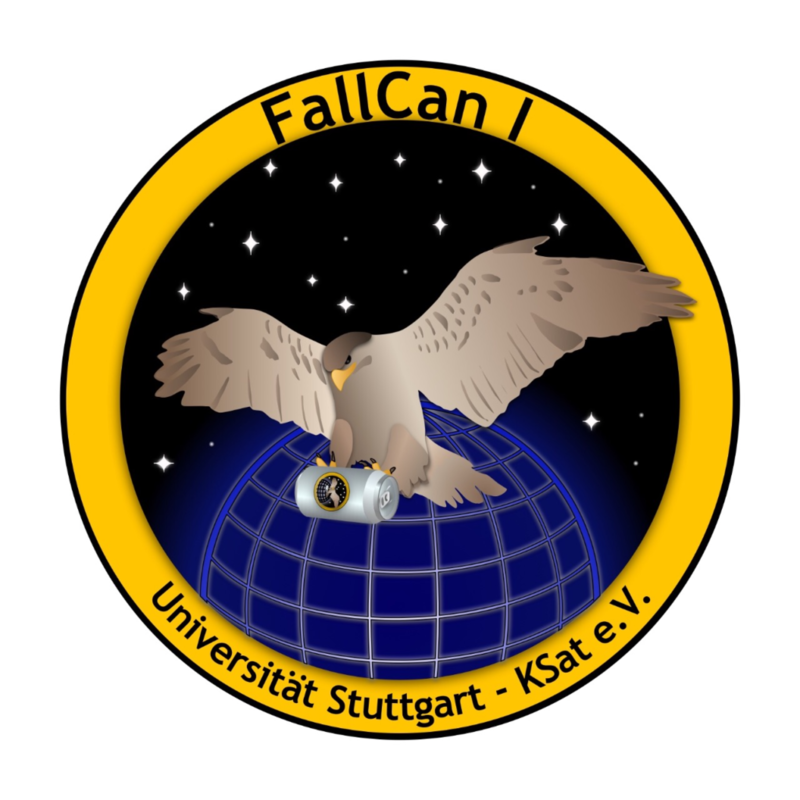 KSat e. V. (small satellite student society at the University of Stuttgart) is a non-profit organization founded in the spring of 2014. The more than 60 members are students of all semesters, mostly enrolled in aerospace engineering. The association is open to students of all disciplines. Our goal is to give our members the opportunity to realize their own spaceflight project during their time at university. Furthermore, we aim to pass on the knowledge and enthusiasm for space travel as part of our public relations work and to provide a communication platform between students, interested companies of the industry, research and the public. 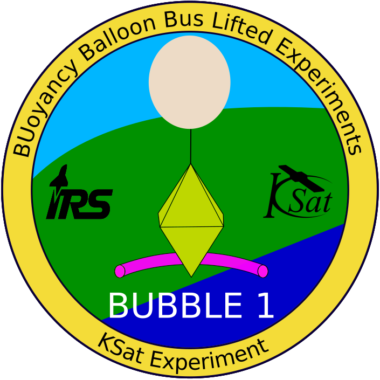 KSat e. V. was founded by former SSETI students and therefore has a history of small satellite construction dating back to 2005. With MIRKA2-RX our members were able to accomplish their first successful mission 2 years after the foundation. Beyond the engineering work, we are always prepared to enjoy a pleasant barbecue in summer as well as the obligatory Christmas party. This is our executive board. 4. Hand in the application form at the next biweekly meeting or via mail. Nothing works without electrical engineering. The special challenge is to find and develop radiation hard components. You can spread emotions and engage people? Then this is the right place for you. You can add a creative touch to the club and help us spread the enthusiasm for space travel. Simply join us for a visit. Space travel is a very demanding environment. Computing power is limited, requirements are high and the system must not fail under any circumstances. We regularly publish scientific papers about our projects and their results. Sometimes, newspapers cover our activities in their articles. These documents can be downloaded on our site.